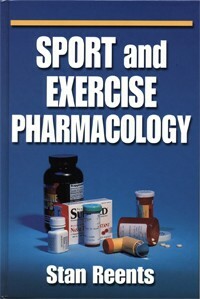 Sport and Exercise Pharmacology is the first text of its kind. It covers the unique issue of drug pharmacology during exercise. One obvious example is the effect of drugs and dietary supplements on exercise performance, but Reents also discusses how exercise affects the actions and pharmacokinetics of prescription drugs, OTC drugs, and dietary supplements. Reents is a former healthcare professional (he holds a PharmD degree). While working in clinical medicine, his focus was critical care and adult internal medicine. Since then, he has obtained 5 different exercise / fitness / coaching certifications, including the "Health Fitness Specialist" from ACSM and "Personal Trainer" and "Health Coach" from ACE. He has also been certified as a tennis coach. In addition to authoring this text, he also co-authored several CE manuals for athletic trainers and several dozen research papers. Previously, he was the editor-in-chief of a clinical medicine drug reference database. Each chapter starts with a case study that, according to the author, is based on real life, either from the published literature, or, in some cases, based on people the author has met. Despite dealing with some fairly technical concepts, Reents manages to make each chapter easy to read and understand. When concepts are not well-studied, he makes this clear. References back to the original published literature are strong. The book contains over 100 graphs, figures, and tables, which help to clarify concepts discussed. Each chapter concludes with helpful take-home points for both athletic trainers and for medical professionals. Topics more pertinent to sports are covered in chapters on anabolic steroids, growth hormone, stimulants, creatine, and other selected supplements that athletes might use. Legitimate uses of drugs by athletes are covered in discussions of antiinflammatory agents, and the use of bronchodilators for exercise-induced asthma. Sports medicine aspects of an athlete's use of alcohol and caffeine are also included. The final chapter in this 347-page text is a discussion of exercise as a "prescription" for health. Currently, the topic of obesity is getting regular attention by the media. Although focusing attention on exercise as a weapon against many of the chronic diseases in our society tends to give the text a clinical perspective, doing so does not diminish the relevance to sports medicine. While this text is clearly oriented to a pharmacology perspective, it is a valuable addition to the sports medicine literature. Reents makes a conscious effort to apply the pharmacologic and research findings to a practical level. For example, clinical scenarios are presented such as: playing tennis in the hot sun while taking diuretics, evaluating exercise heart rate in a subject who takes beta-blockers, and the risk of rhabdomyolysis in someone taking statin drugs who lifts weights. This text has something for everyone. It is a good blend of clinical medicine with sports medicine. It is recommended reading for physicians, athletic trainers, and graduate students in exercise physiology. Copyright ©2005 AthleteInMe, LLC. All rights reserved.